The barn that houses so many of the essential tools we need to build our homestead and maintain what we’ve started. 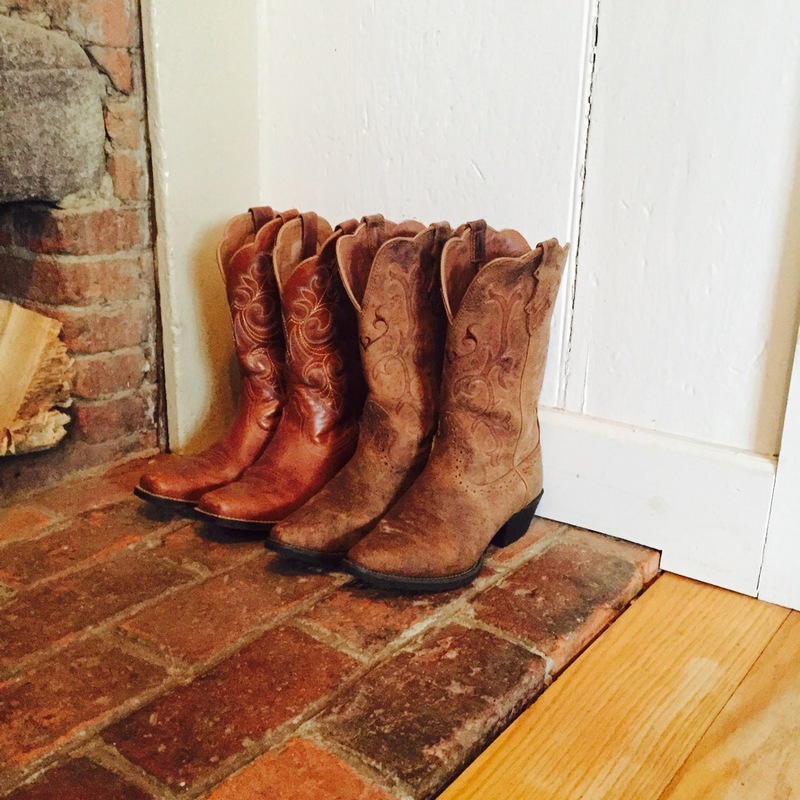 Haste makes waste… This is one of the many lessons my grandfather has taught my husband and I. We find ourselves repeating this mantra often on the homestead. With so much to do day in and day out, it would seem easier to take a short cut every once and a while. You can’t rush things on a homestead. It’s important to do it right the first time so whatever project you may be working on is sure to last and last and in the end save you time. 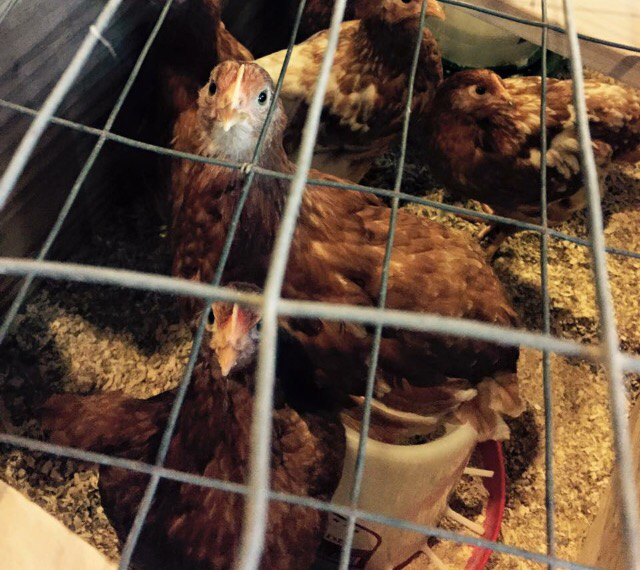 You can’t be hasty on the homestead. Things have a way of coming back to bite you when you rush. There’s some beauty in that too…The time you take can not only teach you a lesson in patience but will teach you an appreciation for every mundane task you have as well. I would rush rush rush to get all of my afternoon chores done so I could cook my family a meal and perhaps enjoy that rewarding glass of wine at the end of my day. James got sick of the haste and sick of getting out of bed at midnight to go close the dang coop. Trust me, don’t poke the bear is another manta in this house… He does whatever we need without hesitation but he does it, well…grumpily? Is grumpily a word? My computer is not auto correcting me so I’m assuming it’s a suitable word here. And certainly is fitting for the bear protecting my hens at midnight. So when he finally had enough, he took his time and built this pulley system. Brilliant! 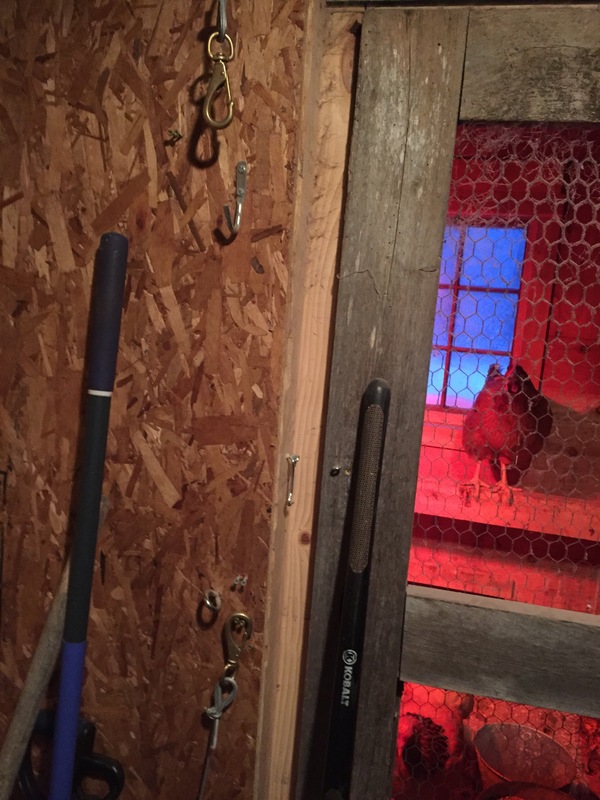 With just a few things we had around the stead, he made it so we can easily open and close the coop from inside our barn. No more going outdoors at midnight and the pulley is so easy it’s become a natural part of my evening routine. I rarely forget it now! 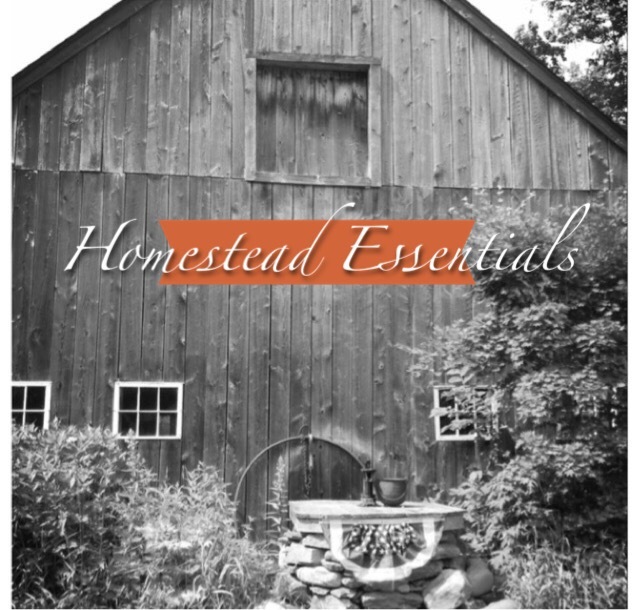 There are so many wonderful, essential tools to have on your homestead. I’ve listed just a few of my favorites that have helped us out tremendously and has given us more time to conquer the next chore on the list! This tool has been a life saver for me! Although we work to build a self sufficient lifestyle, James still travels quite a bit for his career away from the homestead, leaving me to do much of the farm work by myself. Funny enough, I actually bought this as one of his Christmas gifts this past year but it has served me most well because of the ease and safety it provides. Chopping wood and kindling is not an easy task. We heat the majority of our house with 2 wood stoves. We actually have 4 fireplaces in this old house but I’m pretty sure it would be a full time job to run them all at once! 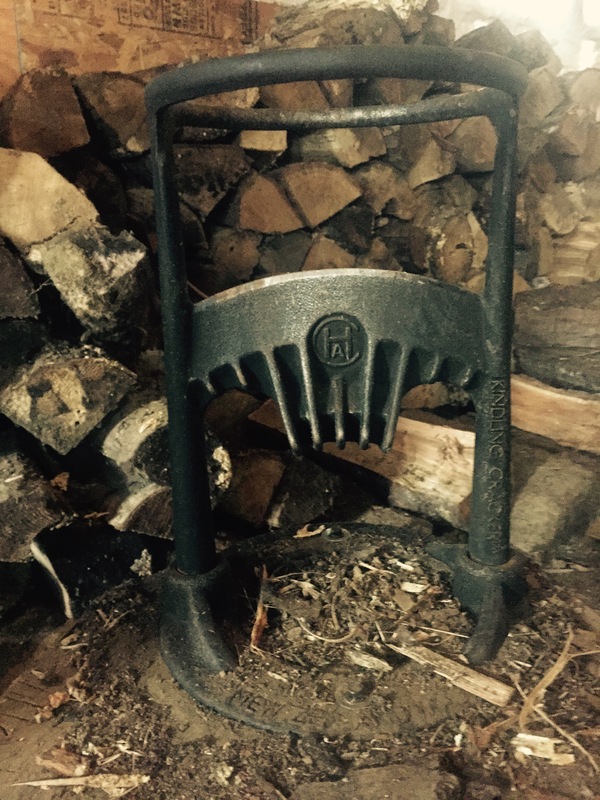 The Kindling Cracker is so easy to use and takes the danger out of chopping wood. Check out a demonstration video here, just don’t mind the intense music in the background… Makes me giggle! It may sound simple but having a good supply of 5 gallon buckets on the stead is absolutely essential! I use them to bring extra water to the pigs and chickens. I plant herbs like mint, or other invasive plants, in the buckets to separate them from the rest of the garden. 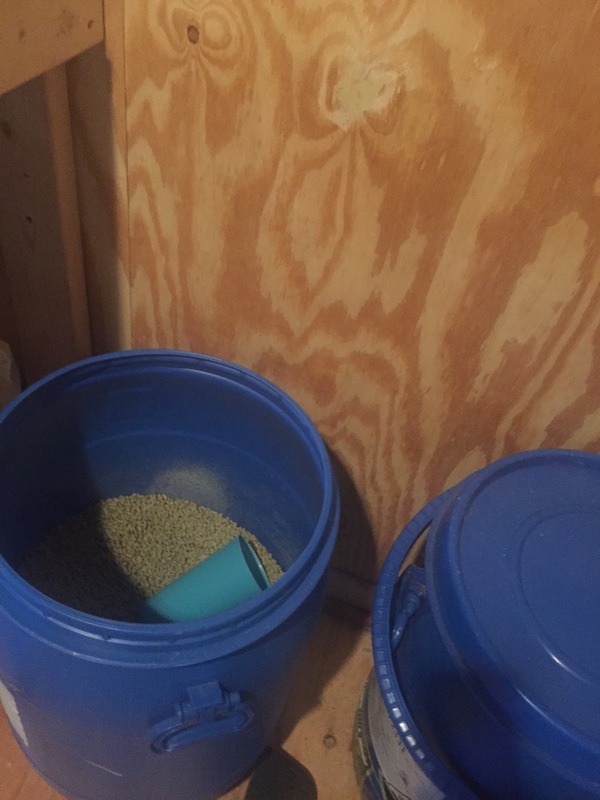 They are helpful for storing different grains or shells the chickens will need for extra calcium. We use them during the slaughter process for any “extra parts” that will need to be taken away and disposed of. We use them to carry kindling to the indoor wood box. They are perfect when the fruit trees are ready to harvest, and even great when collecting sap during maple sugaring season. 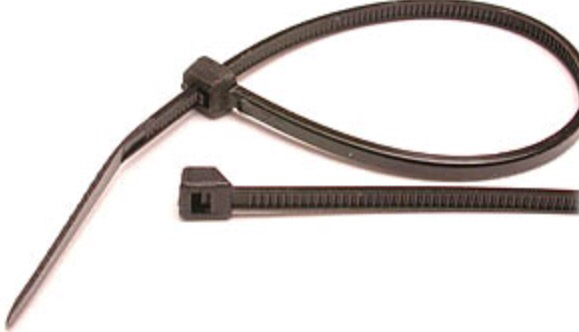 I could probably go on but you get the idea…These are a huge must have on any homestead. Anotjer simple yet essential tool. 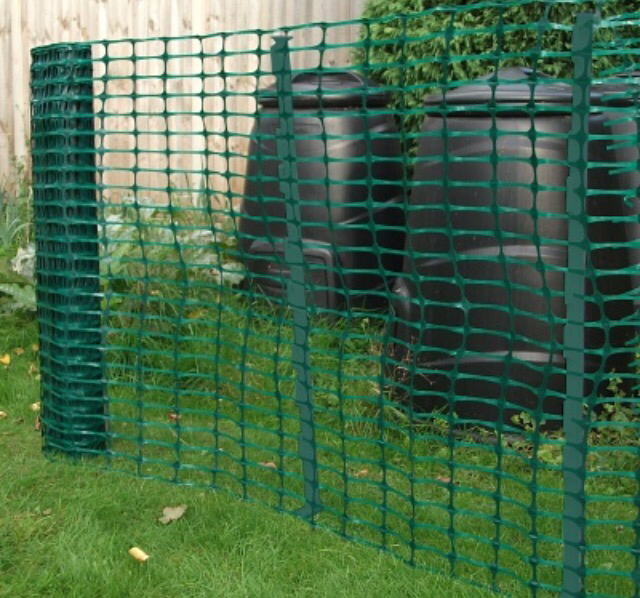 OR perfect for when a fence or protective netting may fall because of the weather or playful animals having a little too much fun. They really are a smart thing to have on hand! 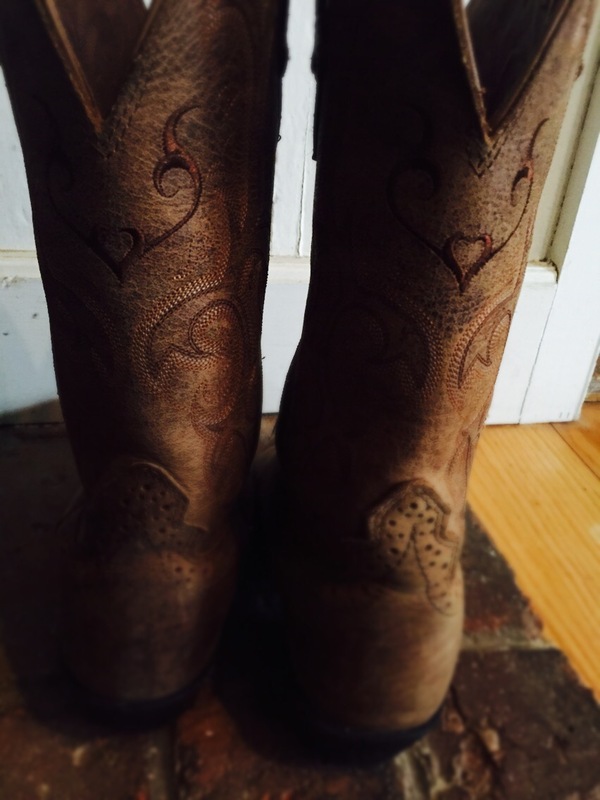 Proper foot wear may sound like a reach for this list but it is hands down one of my top essentials on any farm or homestead. We spend all day on our feet. Whether we are slopping pigs, weeding the garden or cleaning the coop- a bad shoe can ruin your day in an instant. 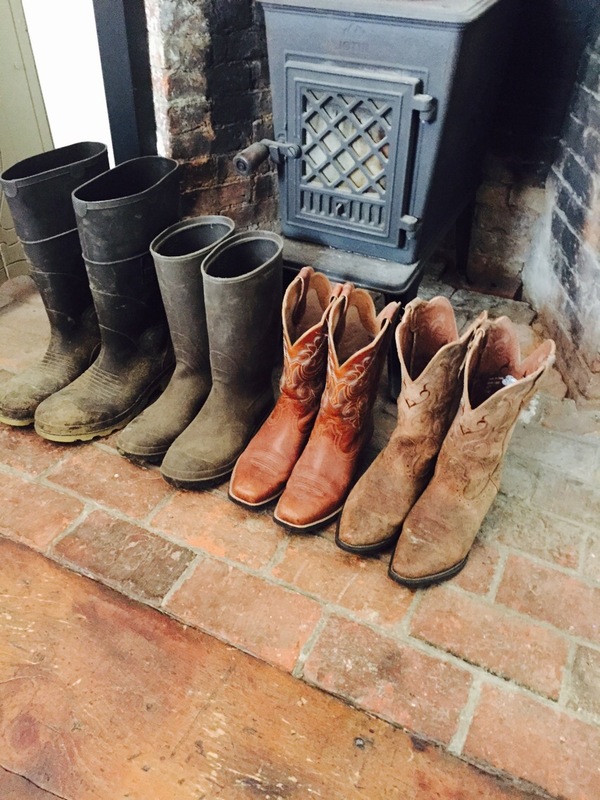 Investing in good boots that will stand up to weather and wear is so important. 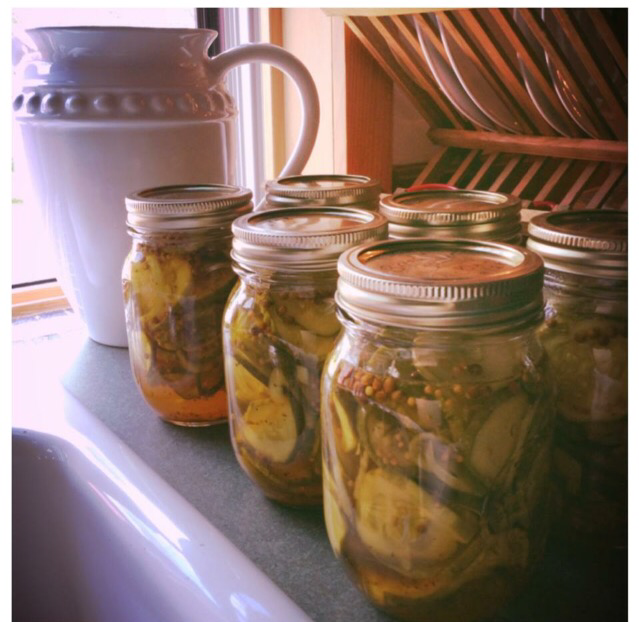 My ‘all things canning’ post will come at a later date but any homesteader should have a surplus of these jars on hand at all times! I use them day in and day out. 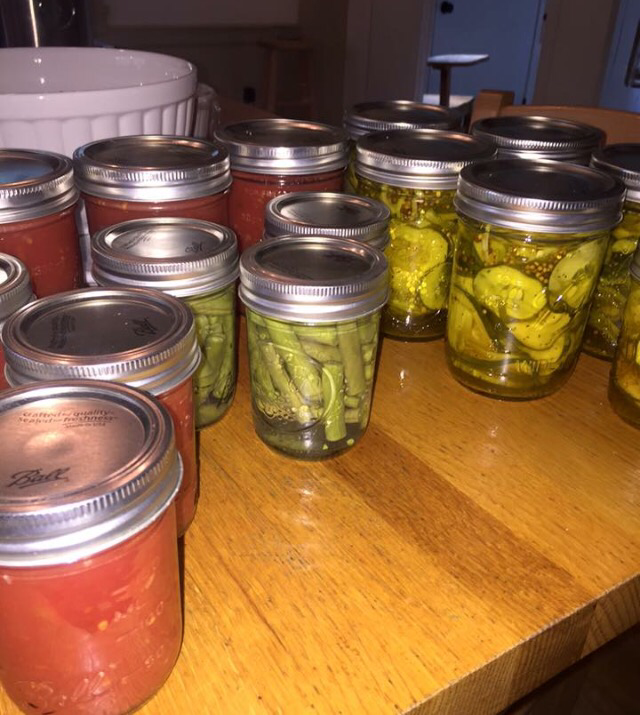 Aside from the typical canning process, we use them to store bacon grease, homemade vinegars, soaps, even refrigerator pickles and dilly beans. They are so versatile and something I use almost everyday! Even all our drinking glasses are old Mason jars that I never bothered to buy new lids for! Stock up! You won’t be sorry! This is pretty specific to those who raise chickens but I just can’t get enough. 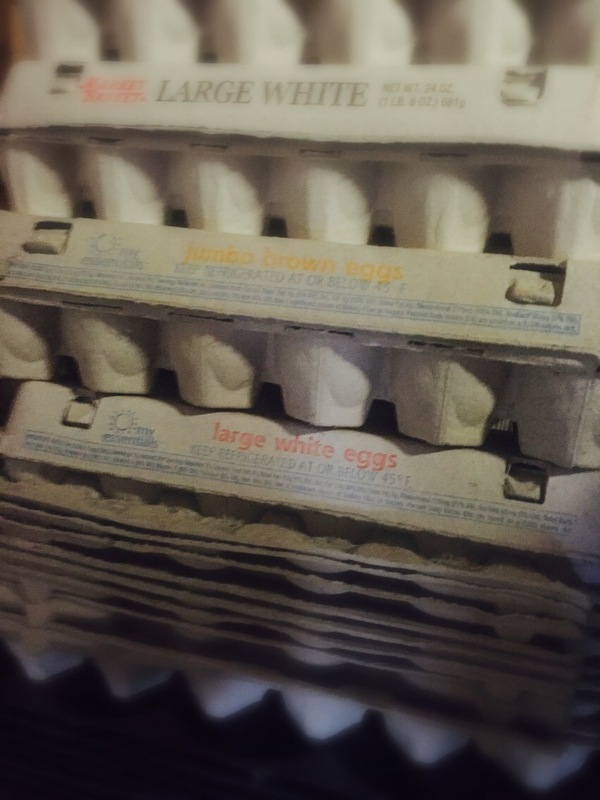 I never refuse old egg cartons from family and friends, and trust me… I end up using every last one! 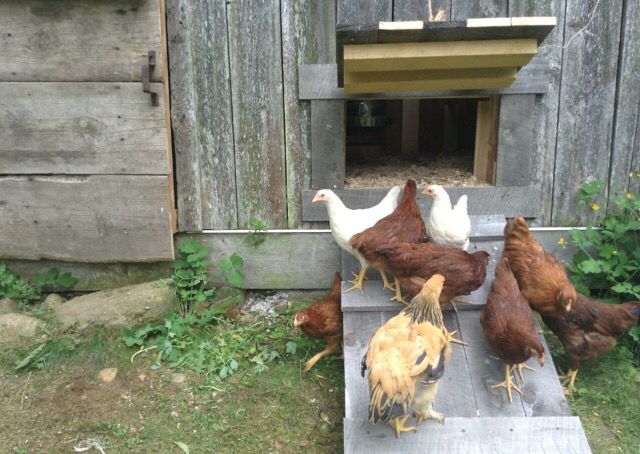 If you have laying hens, don’t be scared to ask people to save their empties for you! Just be a good homesteader and give them back a full one to say thank you! I know this may be a more hefty investment, but it is well worth it! 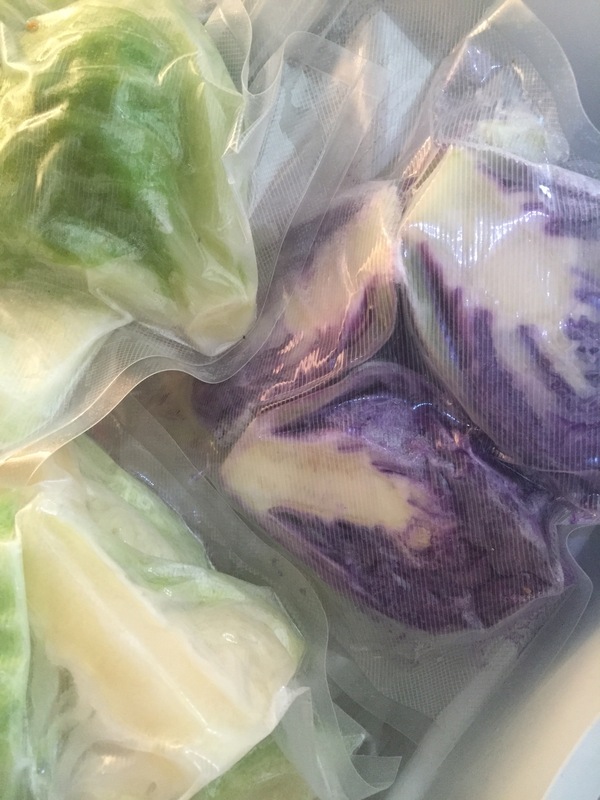 We were able to process a large amount of our own meat and vacuum seal veggies that aren’t always can worthy. There’s nothing better than fresh summer veggies in the dead of winter! 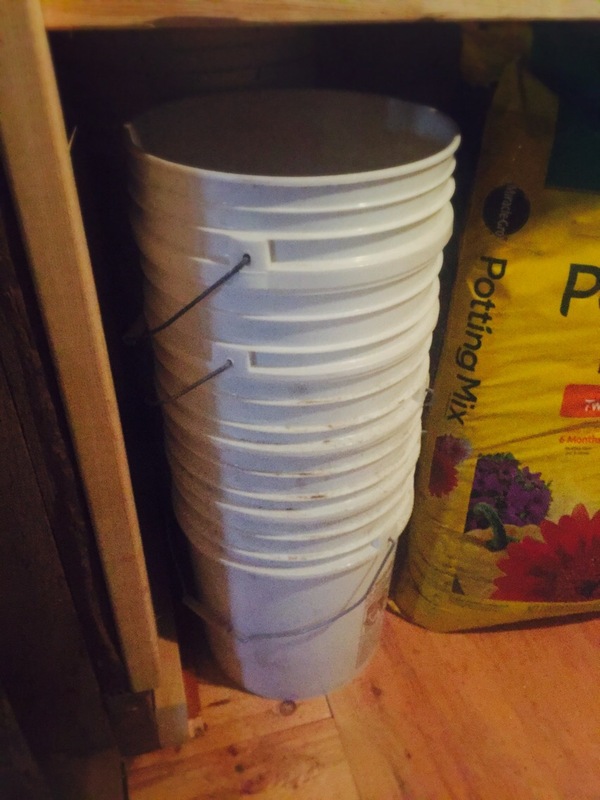 Similar to the 5 gallon bucket- perfect for grain storage and collecting rain water! Research getting food safe drums to be sure no harmful chemicals within the drums will get into your feed or water supply. Lastly, and certainly not least is our food scale. 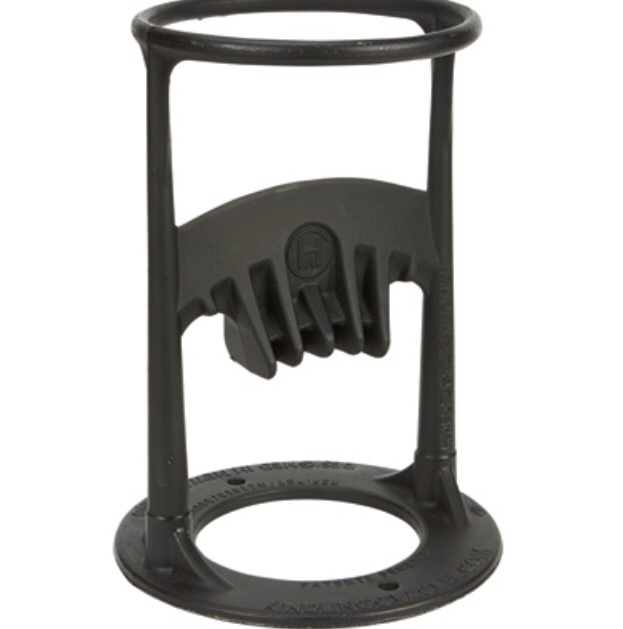 This is such an important tool when canning and packaging meat. Even if we aren’t selling our product, it helps us to ration and label all that we preserve. It’s much easier to reach into the freezer and quickly read a tag that says 1lb ground venison, or 3lb pork roast, rather than guess the weight and have a recipe that’s too heavy or rather lacking what we should have thawed. 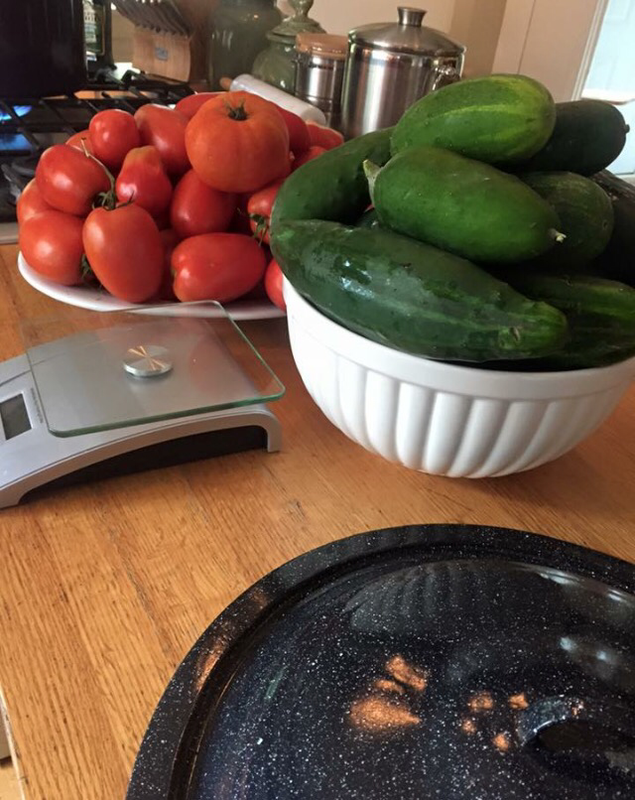 I would reccomend a food scale to every homesteader out there. 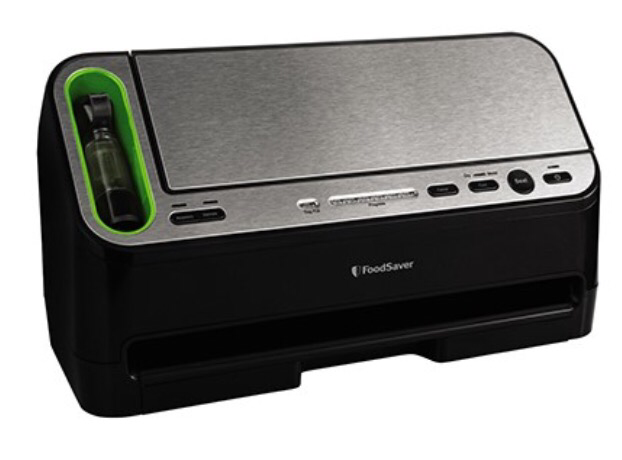 It truly eliminates waste and makes for a cleaner and more accurate product. So that’s my list of essentials for now! Make some of these investments- they will save you time and money in the end…. Reblogged this on Cacia Farms. Egg cartons and mason jars, FTW! I own enough mason jars to supply a small country. When I got married, I used them for my vases,water, beer and wine drinking glasses and I didn’t even have to buy any. All my neighbors know I want egg cartons, so I often come home to random boxes on my porch. Otherwise, I put out a post on facebook and someone will have stacks for me! 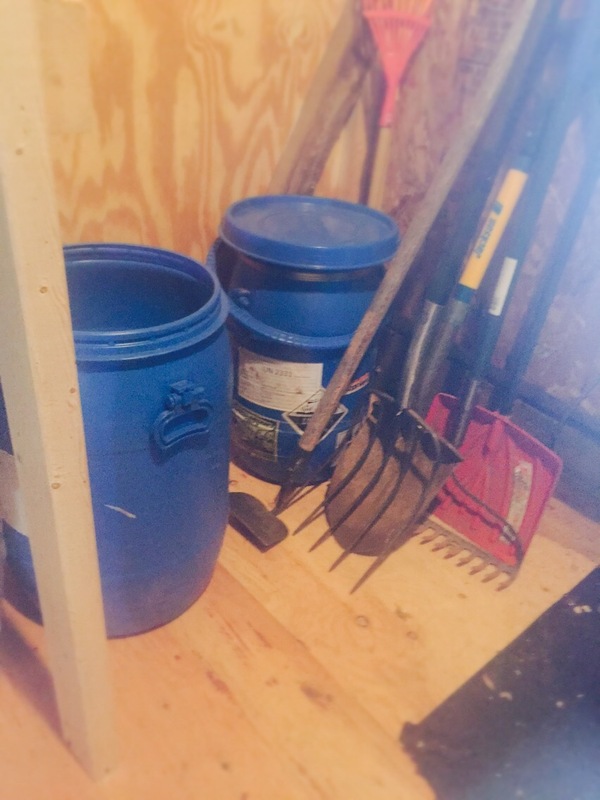 These are all really good “tools” to keep around the homestead! 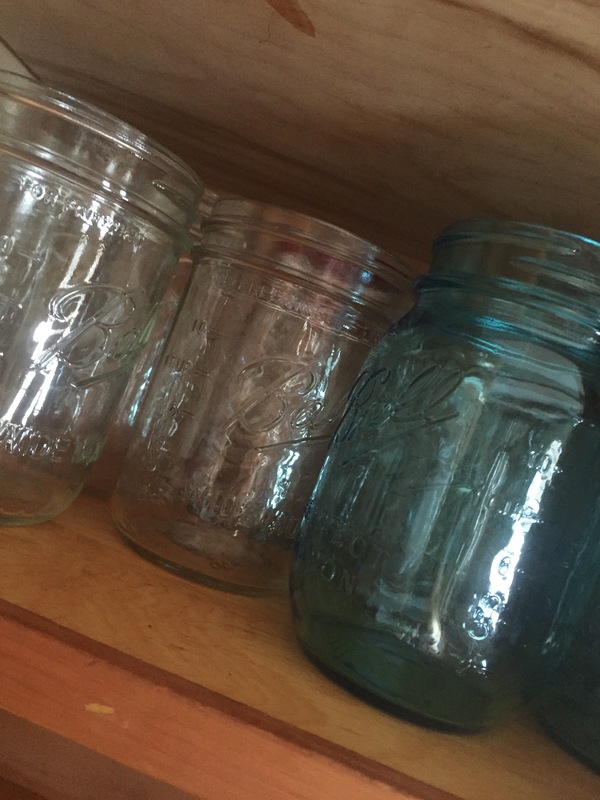 I have a lifetime supply of canning jars, however I am continually buying more at yard sales and second-hand stores! I can not pass up a good deal on jars! I apparently still need more because it seems that every summer I fill them all up! I couldn’t agree more!!! Thank you!